The space perspective, proudly embedded in the ethos of the Scottish space technologies company Astrosat, is keeping watch on criminals halfway across the globe, providing those who protect vital rainforest systems with an ever-watchful eye in the sky. The dense, dark jungle of Guatemala is one of the most biodiverse locations on the planet — and is also the birthplace of the ancient Mayan civilization. Guatemala is home to 1,246 known species of amphibians, birds, mammals and reptiles, as well as 8,681 species of plant life. Both the flora and fauna of the region exist in a delicate balance; a vibrant and dynamic ecosystem with significant global importance — nearly 15 percent of all these species are endemic, meaning that Guatemala is the only country on Earth wherein they exist. More than a third of the land mass of Guatemala is made up of extensive forest systems, and more than half of these are classified as primary forest — the most significant and biodiverse forestry classification possible. However, these forests are at risk of being despoiled and eventually destroyed by the threat of illegal logging. Years of civil war and political unrest in the region have resulted in three quarters of the population living on, or below, the poverty line, with over half living in rural areas. The lives of these people are heavily dependent on the fair use of the natural environment around them. Unfortunately, this is far from the current situation. What motivates illegal loggers? Simply put, the profits for the perpetrators are very high when compared with the low risk of detection. 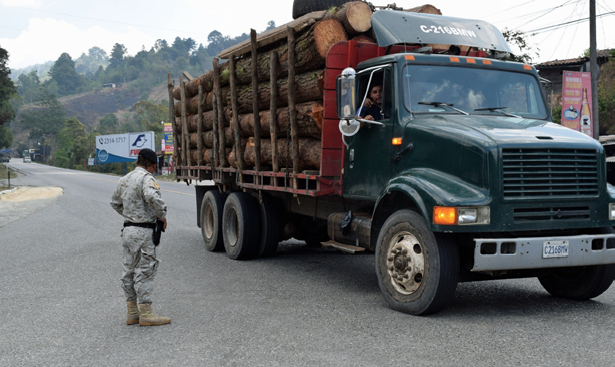 The World Bank and Interpol list timber as a commodity, no different from weapons, narcotics, vehicles or any other internationally traded goods which can generate profits. The fact that timber is easy to launder and readily appears as a ‘clean’ business compared with human or drug trafficking implies the notion that it is not a seriously immoral activity or a ‘victimless crime.’ The reality is that illegal logging has extremely serious and detrimental consequences. Guatemala suffers from widespread environmental damage and rapid primary forest loss, which leads to loss of many environmental services that forests provide, including water regulation, soil formation and stabilization. Deforestation also exacerbates the threat of catastrophic flooding. In 2005, floods and mudslides that were attributed to tropical storm Stan killed thousands of people in the country. The economic losses due to tax evasion, fees and other revenues are significantly impacting the nation, as well. According to Interpol and the UN, global illegal logging is worth between $30 and $100 billion (10 to 30 percent of the entire global timber trade). The social impact must also be considered. It has been argued that illegal logging increases poverty and breeds uneven power relations. Local communities and indigenous groups are often directly dependent on forest resources for subsistence needs. Between 1990 and 2005, Guatemala lost almost one-fifth of the nation’s entire forest system. 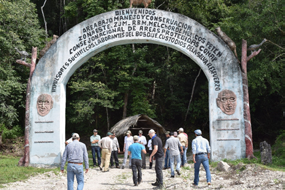 Official figures assert an annual deforestation rate of 80,000 hectares (a hectare is equal to 10,000 square meters, which is equivalent to 2.471 acres), although some organizations place that figure at almost 100,000 hectares, with recent surveys highlighting the extensive destruction in the Mayan Biosphere Reserve. Since the millennium, deforestation rates have continued to climb by 13 percent. Given the size and density of the forests, the ecological and critical economic importance of forestry to the country and the lack of available law enforcement manpower to tackle illegal logging, a technological leap is required that allows sufficient intelligence and situational awareness to be collected in one place in order for counter logging efforts to be coordinated and focused for maximum effect. This technological leap is FMAP, or Forest Management and Protection — basically, a ‘CCTV in the sky’ that has been developed by Astrosat. 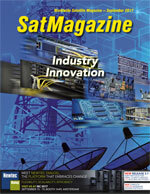 Astrosat is a Scotland-based, leading-edge, satellite-as-a-service provider. Building on the firm’s experience working with and delivering space-based solutions to governments, large scale infrastructure and energy operators in Europe, Astrosat is internationally renowned for working consistently to understand the needs, practices and current limitations of its end user and client communities. Field work underway in Guatemala. Photos are courtesy of Astrosat. Less formally, however, and aligning with the spirit of the company’s CEO and founder, Steve Lee, Astrosat is the physical result of the shared belief that space, and the space perspective, can solve or assist any Earthbound problem. Astrosat has built a solid technical, commercial and delivery team that is dedicated to answering this challenge and delivering on the potential of their systems. 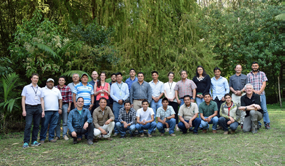 The team is composed of a wide range of space scientists and engineers who range in specialties from situational analysts, field responders, physicists and technical and operations specialists, as well as innovative strategists that ensure the solution delivered in Guatemala will be useful, usable and sustainable for end-users. 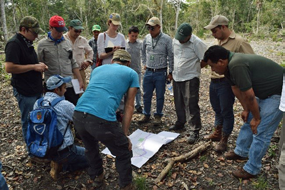 With the capacity to track individual logs from lumber site to saw-mills, Astrosat’s technology is assisting the Guatemalan government and related environmental agencies to monitor effectively large areas of land, such as the rich ‘Mayan biosphere reserve’ and a host of other important national parks along the border. Working with cutting edge Earth Observation (EO) technologies, FMAP monitors specific jurisdictions to ensure that only permitted timber is allowed to move freely, creating a legal market for sustainably managed forest products. Steve Lee said, “What we are working on here could be described as a CCTV system which operates from space. With the data and information we can garner, we can help countries and communities which are at the mercy of unscrupulous operators. FMAP is designed to work end-to-end, keeping close tabs on individual logs from start to finish via new methods of electronic transference and using satellite data to monitor canopy loss over larger regions to build the clearest picture ever of illegal logging in Guatemala. To this end, Astrosat has recently coordinated the first of many task force workshops in Guatemala, attended by governmental, environmental and law enforcement agencies alike, including the non-profit wildlife conservation NGO known as ARCAS, the national forestry institute (INAB), the National Council for Protected Areas (CONAP) and MAGA, the Ministry of Agriculture, Livestock and Food of Guatemala. The workshop was attended by technical staff of CONAP and INAB (both field and office staff), as well as the Rainforest Alliance and representatives from university and industry bodies. Together they collated information on the organizations, the challenges faced by each, and ideas for improving existing processes and systems. Members of the Astrosat team and representatives from collaborating partners visited the sites which are most at risk and followed the timber journey from cut site to lumber mill in order to ensure a full understanding of the process, before delivering training events for local police who will eventually be widely using this technology in the field. The hope is that the technology Astrosat has developed will not only reduce illegal logging across the country and increase the number of illegal loggers captured, but will also protect and create sustainable forestry jobs, reduce forest degradation and also boost biodiversity. The aim is to increase the wholesale value of sustainably harvested forest products from the region due to the long term use of FMAP and integration of the system across Central America and beyond. Dan Ghatoray is the Business and Innovation Analyst at Astrosat with an academic background in Astrophysics from the University of Glasgow. Dan is now focused on space commercialization; bringing space down to Earth - showing the world how powerful, applicable and necessary space applications and technologies are to everyday life. 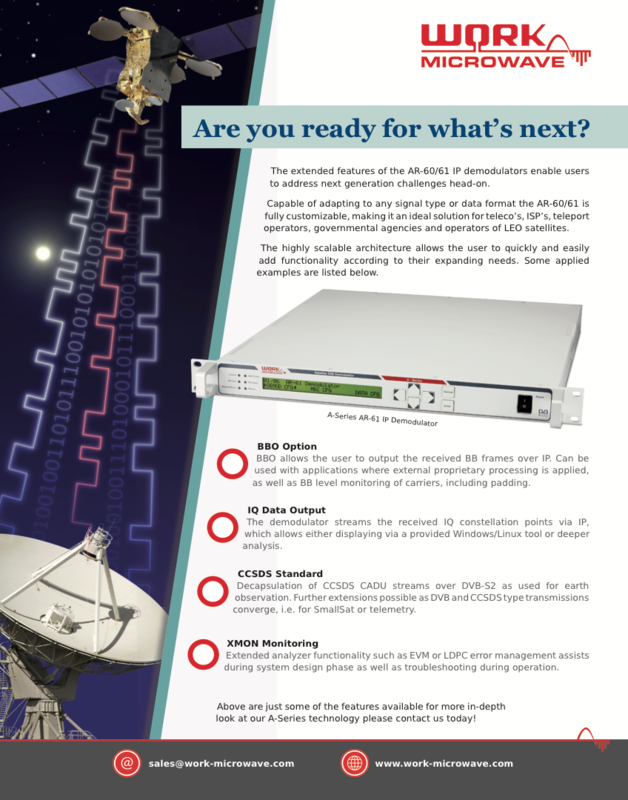 Contact Dan at Dan.ghatoray%40astrosat.space.